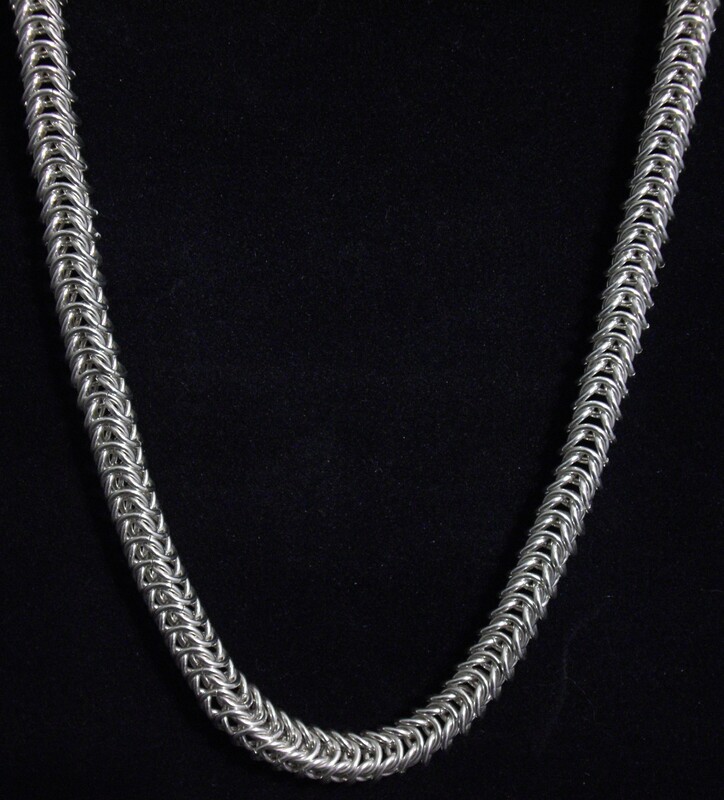 The Box Chain Necklace is a slinky necklace that looks wonderful and feels great around your neck. You build 16 inches of Box Chain weave and then add four inches of single ring chain. The clasp on your necklace can connect anywhere along the single ring chain for an adjustable length necklace of 16 to 20 inches in length. The sterling silver or yellow gold filled clasp is included. This is a beginner weave.